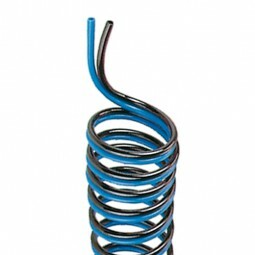 Two tubes sealed together to one pair of tubes, coiled as spiral tubing. Very good elastic behaviour, thus outstanding flexibility. Flexible also at -40 °C. Very high mechanical stability, tearing-resistant. Good resistance to aging, weather and ozone. Calibrated according to CETOP standard.